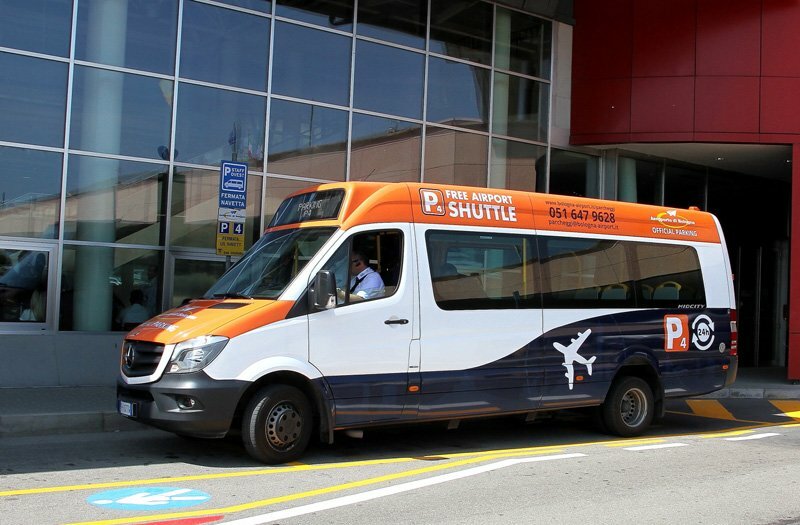 The shuttle bus service is available 24/7. The average running times are estimated, hence purely indicative. 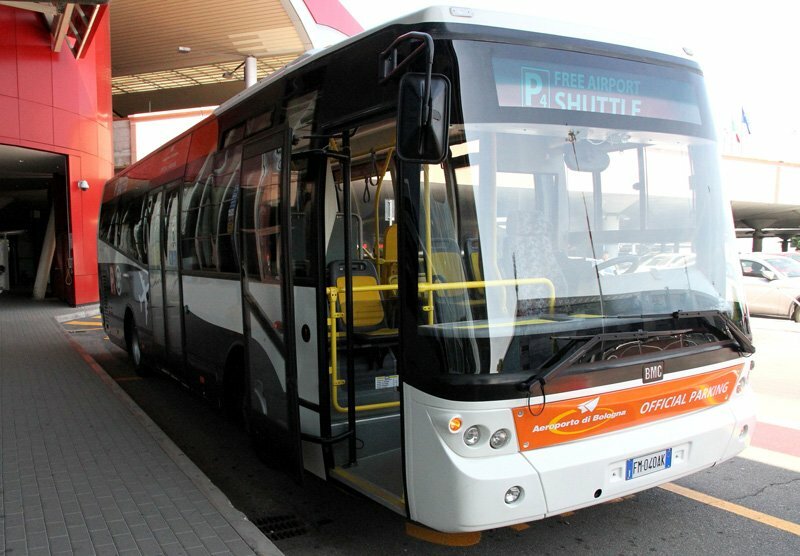 The capacity of the shuttle bus is restricted as per vehicle's registration data. It is the responsibility of the customer buying the parking to load and unload their luggage on and off the shuttle. 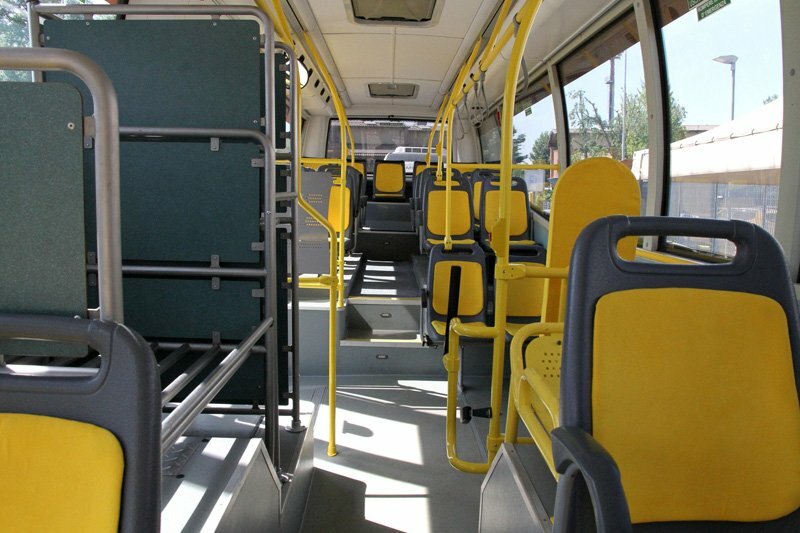 No oversized luggage is allowed on the bus, like for instance surfing boards, skis, bicycles and luggage that can be dangerous and hurt other passengers or damage things. 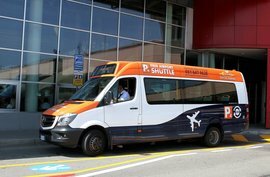 It is the responsibility of the shuttle driver to check the validity of the ticket by requiring the customer to show the entry ticket to P4 or, if missing, the confirmation of the booking of the parking at P4. 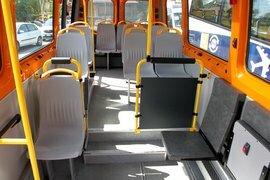 It is only possible to get on and off the shuttle at the authorised bus stops identified by appropriate signage. It is the responsibility of the customer to allow for an adequate advance time for the transfer from the parking area to the Airport Terminal, considering the usual traffic flow of passengers to and from the parking. 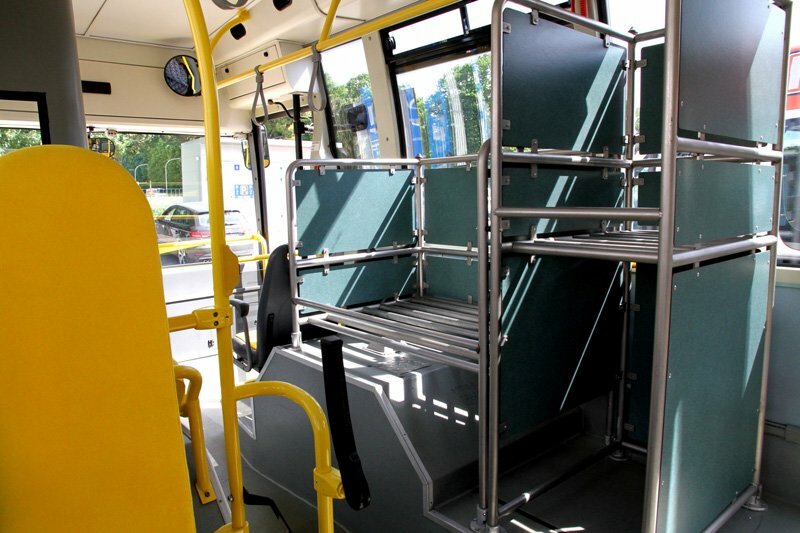 Besides, it is necessary to allow sufficient time for the checking in of the vehicle into the parking, unloading of luggage, parking the car autonomously, reaching the bus stop shelter considering the waiting time and the check-in times. 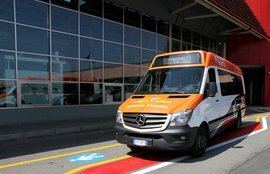 Aeroporto G. Marconi di Bologna S.p.A. is not liable in the event the passenger misses the flight for not having allowed enough time or for any delays of the shuttle service due to traffic on the way, accidents or causes of force majeure. 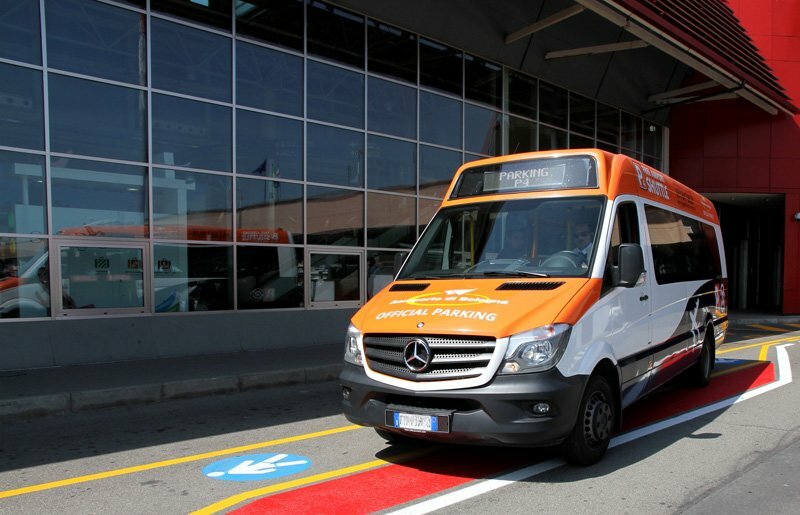 Aeroporto G. Marconi di Bologna S.p.A. provides all customers with a dedicated bus stop on the walkway outside the check-in Terminal identified by appropriate vertical signage. 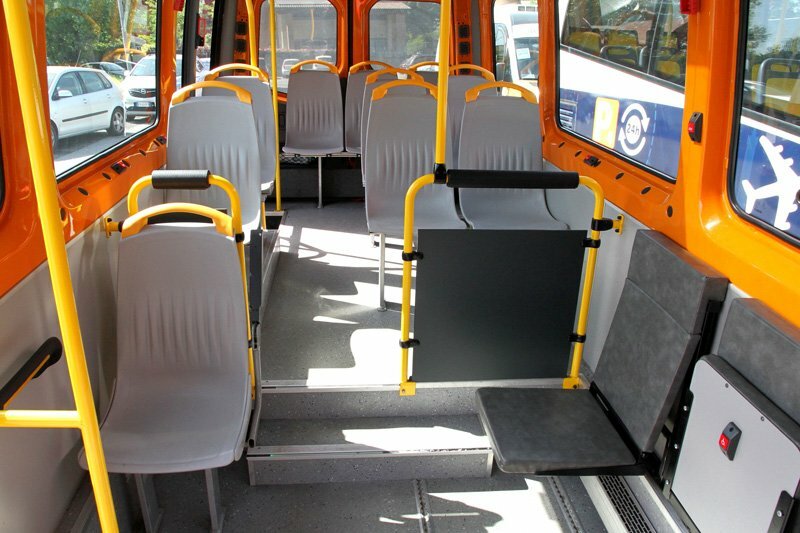 Besides, the bus stop is equipped with a 'courtesy phone' to get in touch with the P4 operator in order to receive information on the service.